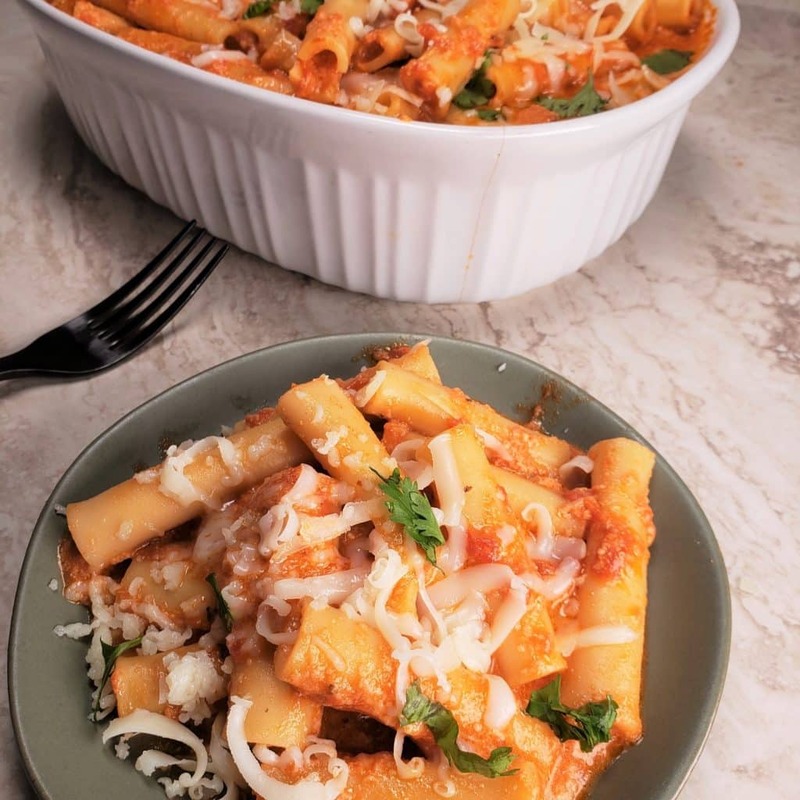 Creamy Instant Pot Baked Ziti with homemade red sauce and three types of cheese is a “dump and go” recipe made quickly in the pressure cooker. I was challenged by my This Old Gal Cooking group to make my homemade Oven Baked Ziti recipe into a “dump and push start” recipe, using the Instant Pot, Mealthy MultiPot or Pressure Cooker. 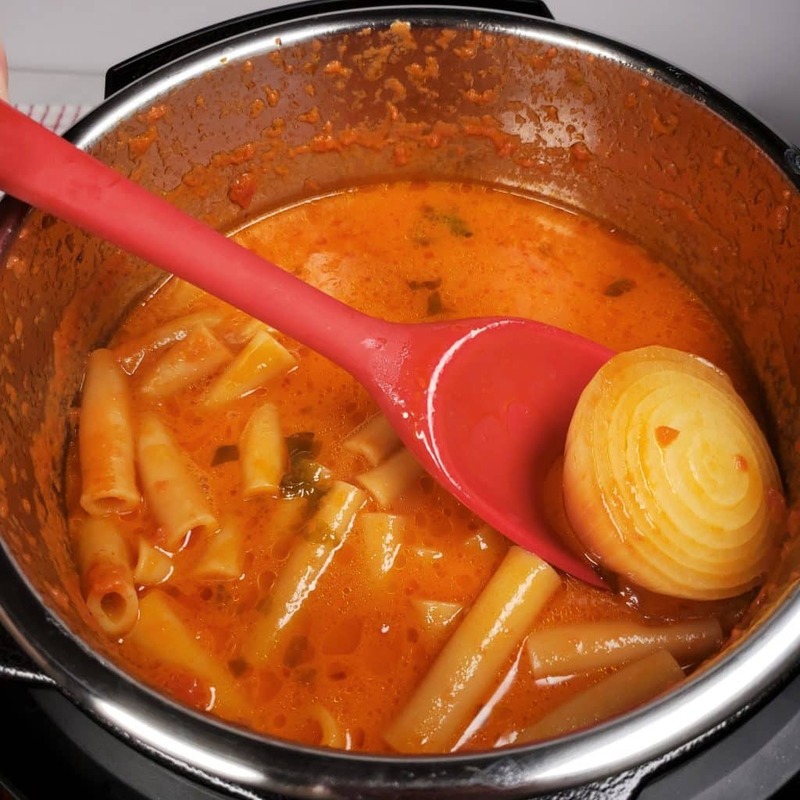 Although my TOG Cooking Group did not know exactly the recipe being voted on, the majority of people said they prefer a homemade sauce, rather than a jarred pasta sauce. Without overstating the obvious, any recipe with my Homemade Pasta Sauce is just going to be better, period. While a lot of people opted for a dump recipe with jarred sauce, I was determined to satisfy both groups, so that everyone wins. Homemade sauce usually includes sauteing some of the ingredients, like onions and garlic, right? Busy people don’t always have time for this, even if it only takes five minutes. 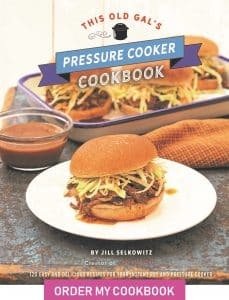 What Size Pressure Cooker Do I Need for Instant Pot Baked Ziti? 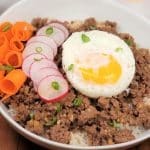 I used my Mini 3 Quart Instant Pot Pressure Cooker for this recipe. 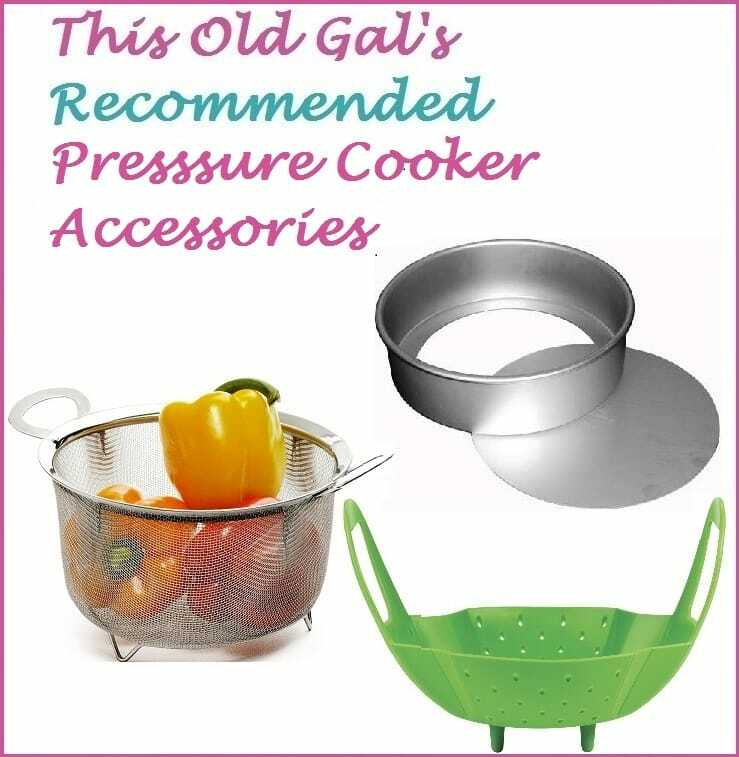 Double it for your 6 Quart Instant Pot or Pressure Cooker, if you like. 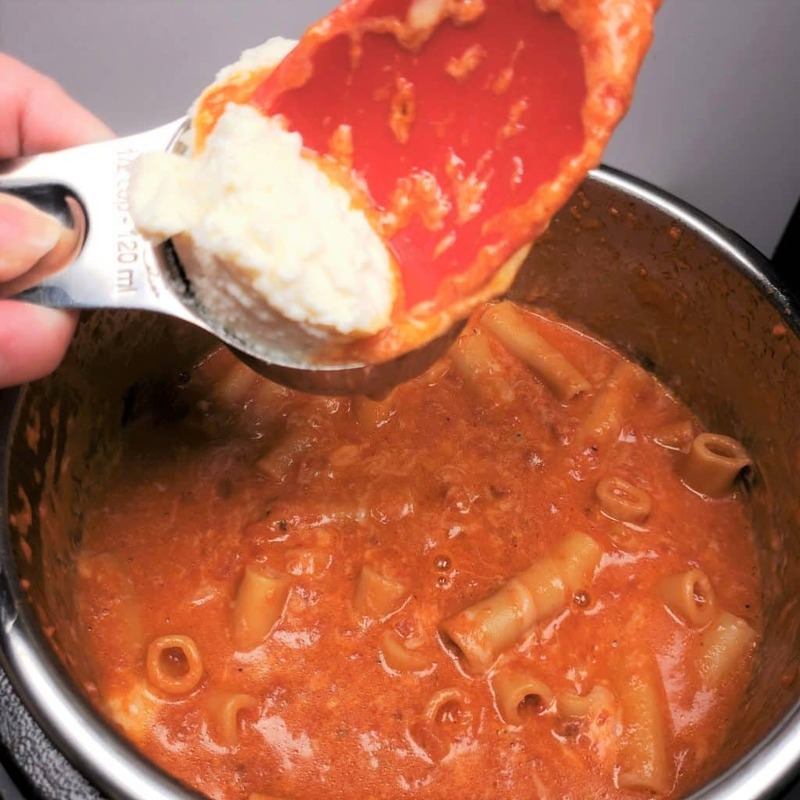 How to Cut Instant Pot Baked Ziti Recipe in Half. Use half of the ingredients. With my Instant Pot Creamy Baked Ziti recipe, everyone definitely wins. 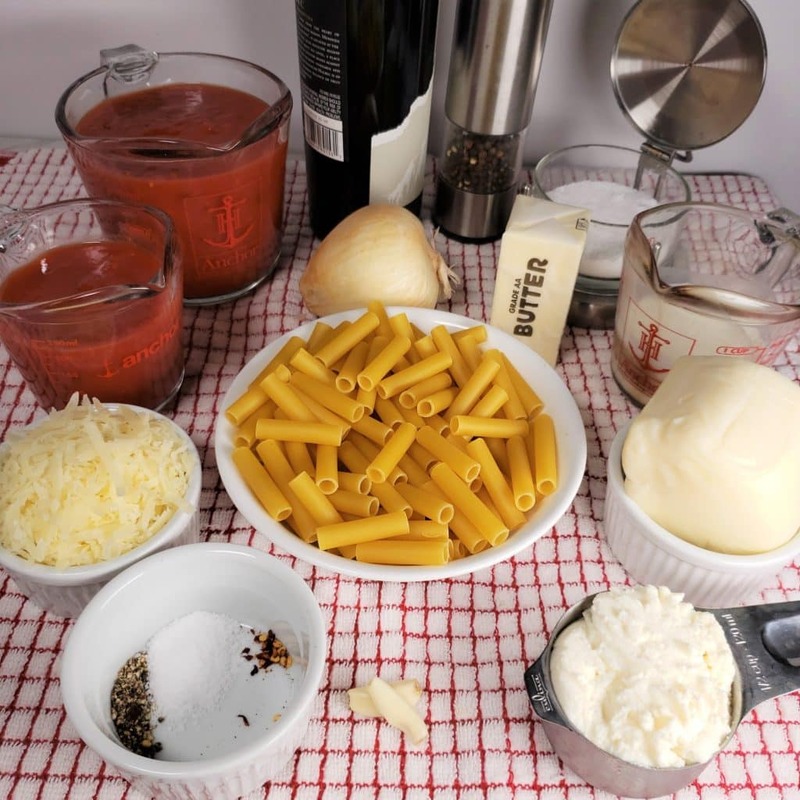 The red sauce in Instant Pot Creamy Baked Ziti shouldn’t be thick and heavy, like you get from most jarred sauces. It should be a simple and lighter saucy sauce. 🙂 The sauce is homemade and very saucy. There is no sauteing at all! Yes, that is an onion. Not only is there no sautéing of the onion, there is no chopping of it either! While thinking about how to satisfy both groups of equally wonderful people, I remembered a trick I had seen on TV. 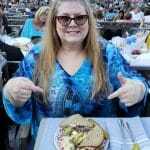 I love to watch cooking shows and shows about interesting and delicious food found at restaurants around the globe. There is a show where the host travels the US and tastes all the best recipes. When I have a little time (which is not often anymore), I watch the chef cook and then listen very carefully how the taste of the food is described and then sometimes plot to make something similar. They never give you the full recipe, so this keeps me on my toes! Anyway, peel the darn onion and then cut it in half. That’s all you gotta do! Toss it right into the pot. As this is a quick dump and cook recipe, I’m taking shortcuts from my usual whole peeled tomatoes, etc. But, this is important. For optimal results, use good canned tomatoes. Check the label and if it says “Imported from Italy,” you are good to go. I’ve opted to use Fresh Water, rather than Pressure Cooker Chicken Broth in this recipe. Why you are thinking? Because I love a good vegetarian Baked Ziti. 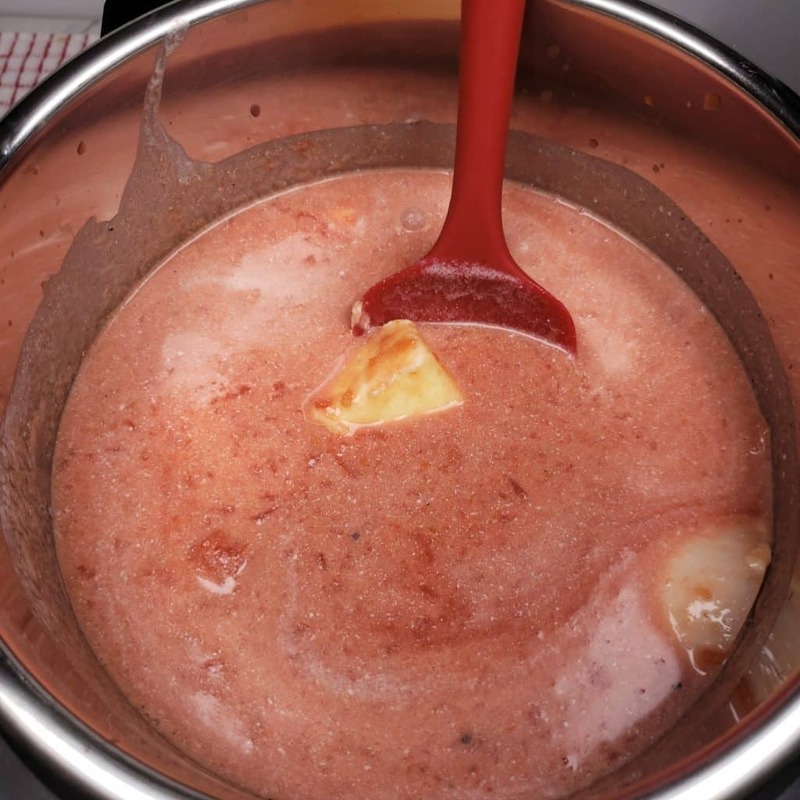 Heavy cream has enough fat in it, so that it won’t break a part and curdle, so it is added in with the sauce, water and wine. If you don’t have heavy cream in the fridge, but you have a can of evaporated milk in your pantry, you can use that instead. 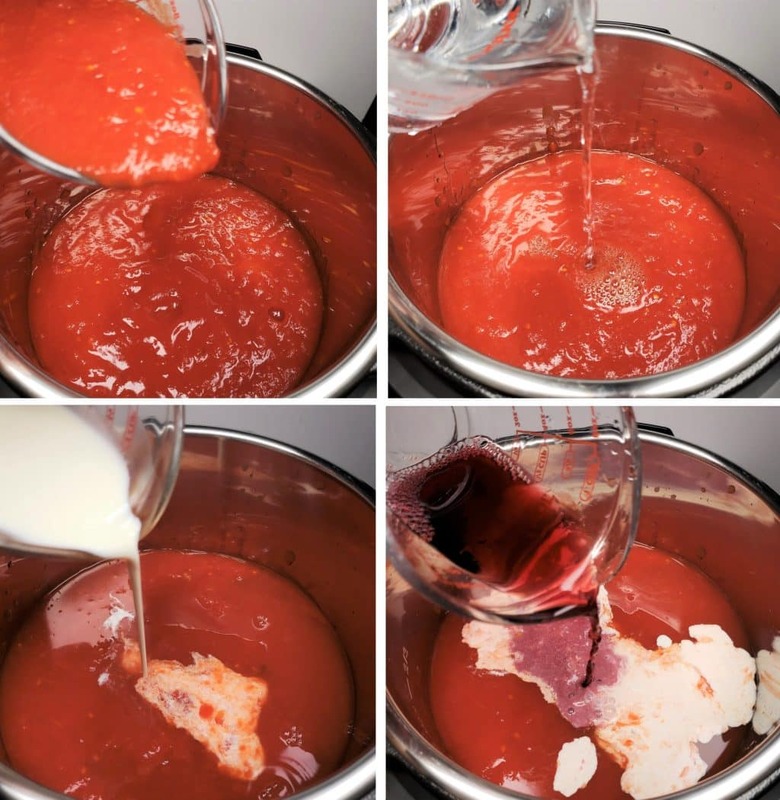 Why use Wine in Instant Pot Baked Ziti Recipe? Wine adds a nice depth of flavor and adds richness. You will have an added robustness to the sauce. Dry red wine is generally the wine of choice for red sauces, however, some dishes might benefit better from a fruity wine. Chianti is very popular to use in Italian recipes. Chardonnay, Cabernet Sauvignon and Merlot is what I usually use. 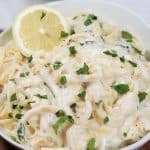 What are the Seasonings for Instant Pot Creamy Baked Ziti? This is a super simple Ziti with a luscious tomato sauce, which does not need a lot of extra seasonings. However, if you want to add Italian seasonings, such as Dried Oregano and Dried Basil, that is fine. Maybe a pinch of Dried Thyme would be nice as well. In my opinion, however, sometimes a simple sauce is really good. The sauce hasn’t even cooked yet and already it is rich. My di Oro Living Silicone Spatulas Set is all I need for this job. 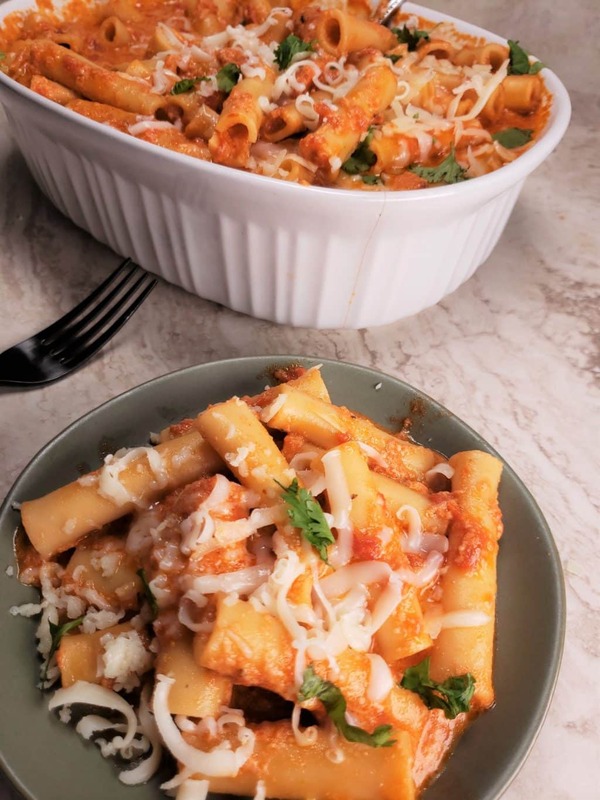 How do you lower the tomato acidity in Instant Pot Baked Ziti? Normally, I use a piece of carrot, shredded and finely minced. A teaspoon of sugar is probably the most used helper for this cause. In this Instant Pot Baked Ziti recipe, the butter is the one to do the job and get ‘er done! Butter also adds an extra layer of creaminess. Here is where I get very particular. What is the Best Pasta for Instant Pot Baked Ziti? 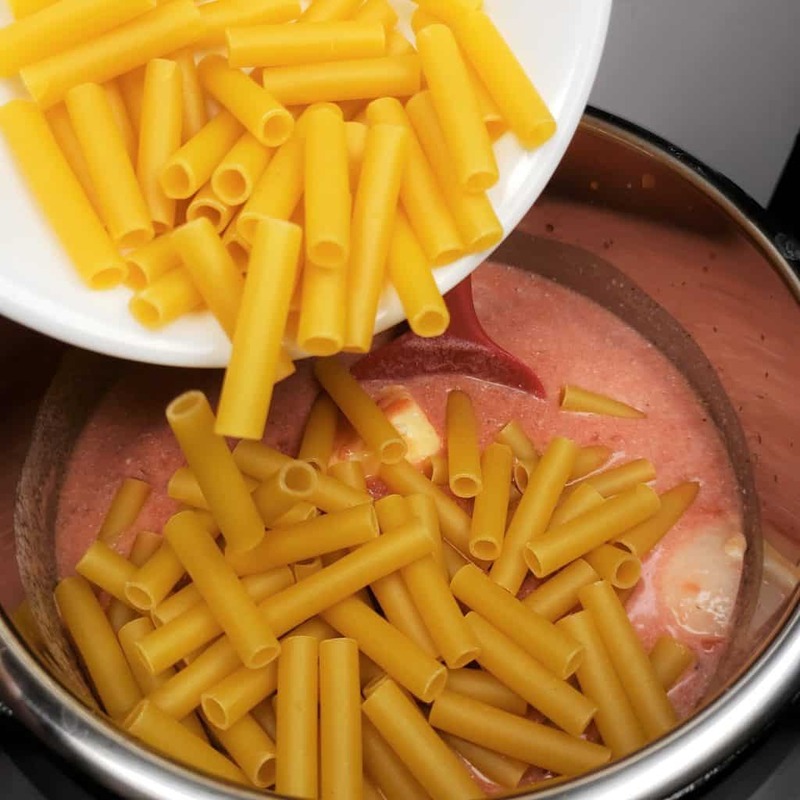 De Cecco brand pasta holds up very well in pressure cookers. It is a good and quality pasta. There is less of a chance of the pasta breaking a part. Plus, it tastes great! Amazon usually has the best prices for a pack of 5, so make sure to check out their prices. I always say, use the best you can afford and that often times, brand does not make a difference. For pasta, brand does make a difference, as does a good olive oil (but we are not using oil here). When you open the lid, hopefully, the onion will float to the top. But, it’s easy to find. All you have to do is remove the onion. All the taste, no chopping or chunks! With the short cook time, expect the pasta not to be fully cooked. The hot sauce, will continue to be absorbed by the pasta, as you add the cheese. We always buy blocks of cheese and shred the cheese ourselves. The pre-shredded cheese never seems as good and there is a starchy coating on it to keep it from sticking. This Microplane Artisan Ribbon Grater is very easy to use and takes little effort. What kind of Cheese is used for Instant Pot Baked Ziti? The number one answer is Mozzarella, of course. Parmesan Cheese is also used, but often times, just on top. Ricotta Cheese makes this vegetarian Baked Ziti dish really special. 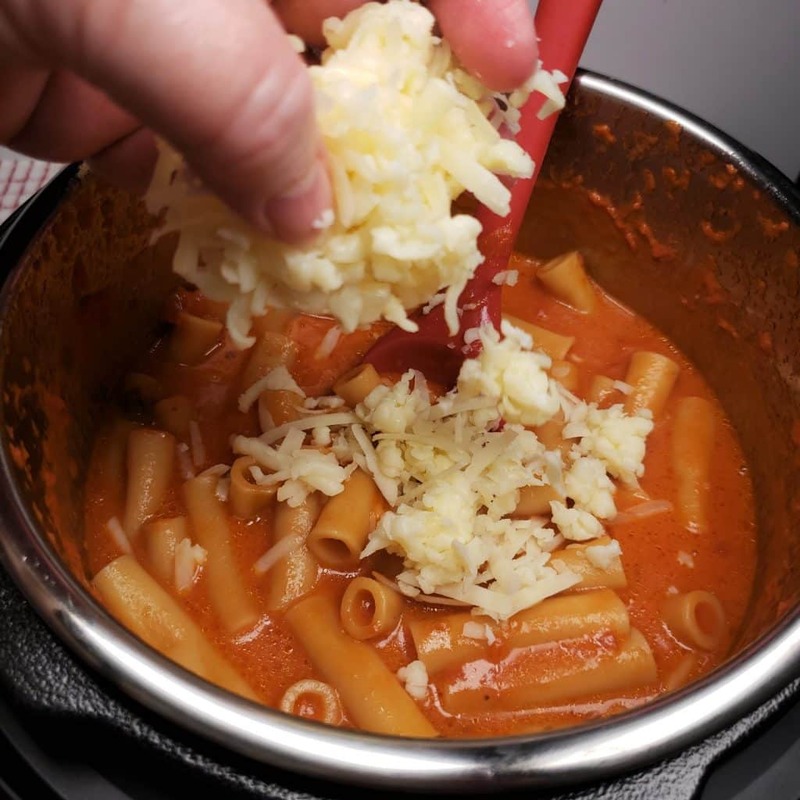 How to add Cheese to Instant Pot Baked Ziti. Add a handful at a time and mix, until melted. Make sure to check that the cheese is mixing in with the pasta, as the cheese may accumulate to the sides and bottom of the pot. I happen to love Ricotta with pasta and have a tendency to go heavy. So, start with a little and work your way up. If you would like to add in fresh parsley, do it in this step. I did not add it in and instead garnished my Instant Pot Baked Ziti. However, you might notice, that I reached for the cilantro, rather than the parsley and had to pick it out after taking photos. Enjoy! I’d love to know how you like this dish. If you get a chance, please snap a picture and tag me on instagram. 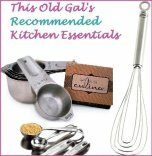 I’m #thisoldgalcooks! I love to see photos! More Delicious Instant Pot Pasta Recipes to Make. 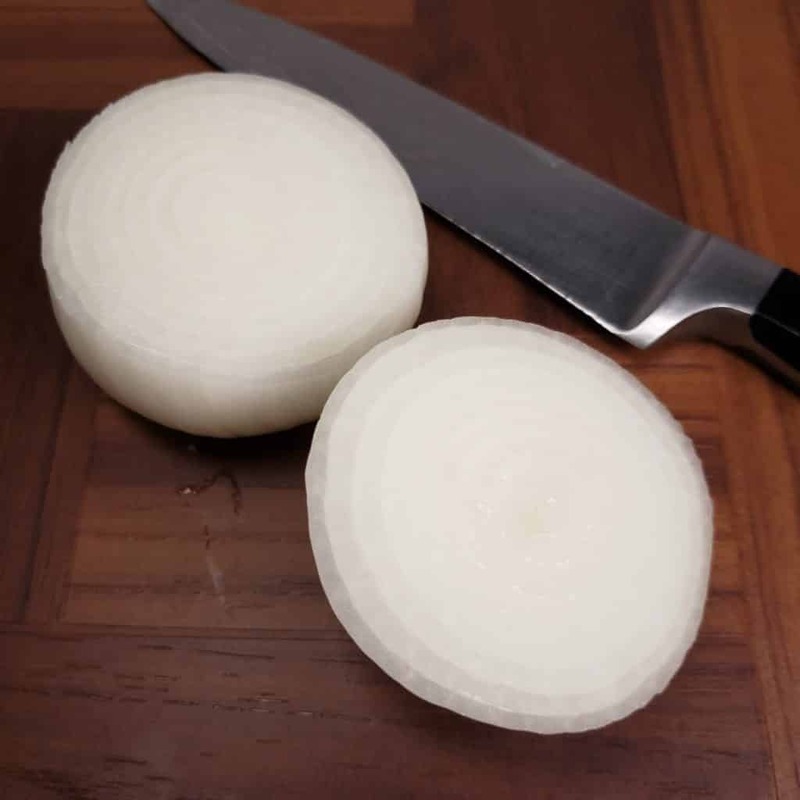 Peel and cut onion in half and add to cooking pot. Pour in pureed tomatoes, water, cream and wine (or water/broth). Add butter, Italian seasoning, garlic, salt, pepper and pepper flakes and mix through. Lock on lid and close pressure valve. Cook at high pressure for 2 minutes. When beep sounds, wait 3 minutes and then remove the rest of the pressure. Remove lid and retrieve the onion. Hit the sauté/browning button and slowly add in Mozzarella and Parmesan cheese and stir until melted. Mix in Ricotta cheese and add fresh parsley if desire. If you want to skip the red wine (but why would you????) replace it with water. Thank you, thank you, thank you for a 3 qt mini recipe! And such a wonderful recipe at that! I would like to make one pound of pasta. what do I change? thank you. Also, can I use crushed tomatoes instead of puree? Sounds good and I will probably try this. Would like to know what is that oblong bowl/dish you are using? Just finished making this, and it is delicious!! My only regret is that I forgot to buy a nice, crusty bread to sop up the sauce with! This is definitely going into my regular rotation. Thank you! Made this tonight. Doubled the recipe and used my 8qt IP. For some reason, I received a burn message. Was able to salvage most of it and the flavor was really wonderful. What would cause a burn message? (I’m rather new to all of this). Jill, I have strained tomatoes, not puréed. Will that work? I do have a jar of store bought sauce I can use in a pinch. Making this tonight. Think I’ll stir in some fresh spinach at the day because I like spinach! Mouth is watering in anticipation. Thanks for all you do! I’m newer to IP cooking. This recipe sounds yummy! I only have an 8qt. Can I make this recipe just as it is in an 8qt. There’s only 2 of us, so I don’t want to double or tripe it. 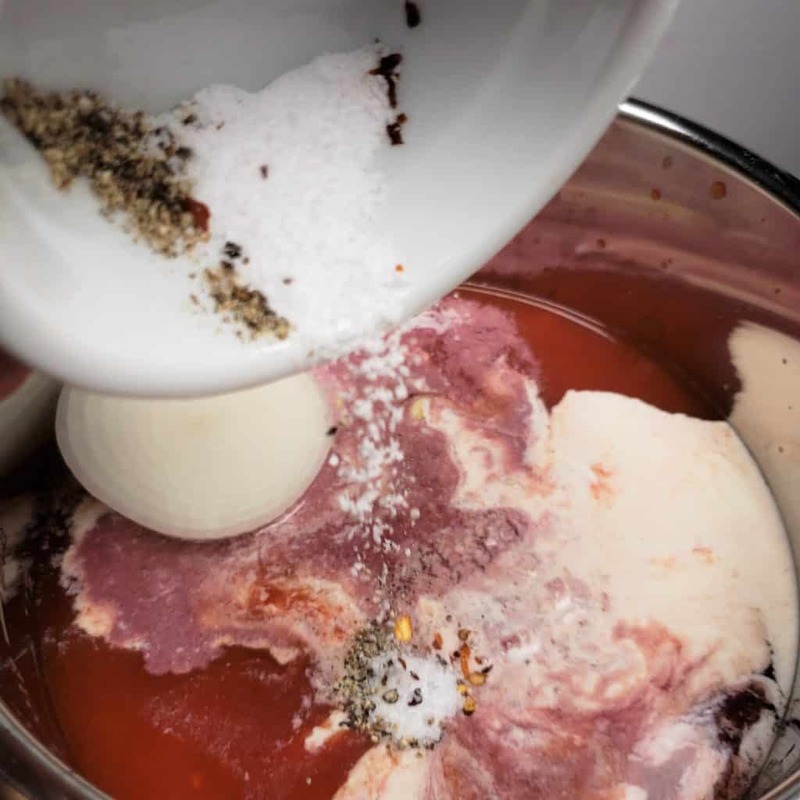 Jill, to double this recipe and cook in my 6 qt InstantPot, are all the ingredients doubled? And thank you for this recipe—it looks wonderful!!! Delicious! I made one minor sub to prevent a trip to the store by using penne instead of ziti and increasing the cook time to 5 minutes. I also sauted a few spicy Turkey sausages and drained the fat before adding the other ingredients. 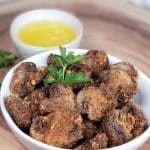 Absolutely fabulous recipe! I’m always skeptical of pasta recipes in the IP–I’ve tried 3 and they were either bland or gave the burn notice. This really worked and gave me another quick fix for a weeknight without using processed sauces. Thank you! Hi Jill, I just made this tonight with famtaatic reaults! The whole family loved it, so thank you. I am curious if you’ve evee tested this recipe using whole wheat ziti. Whole wheat pasta is typically what I use, but I didn’t do so tvis time in fear of it not working out. If you’ve tried it, what did you learn? If not, can you recommend a cooking time that might be better than the 2/3? Thanks. 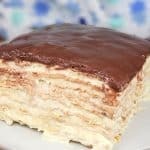 Hi, thanks for all the great recipes and tips! I’m loving my IP more and more because of your recipes. If I want to double this recipe, will the cook time be the same or doubled? I have an 8qt.